Daniel Bryan began an ascension to the top of the WWE during the summer of 2013. Bryan was becoming the most over guy in the company and despite all his great moments and growing popularity, the WWE wouldn't really pull the trigger on him. He had gotten over with the YES! chant, which got him to the spot he earned at Summerslam 2013. Bryan would end up in the main event for the WWE Title against John Cena. Now, I didn't like how it worked out for Bryan as far as the buildup. He was handpicked by Cena instead of acting going out and winning a no. 1 contender match, which annoyed me a bit, but regardless Bryan was in the main event. 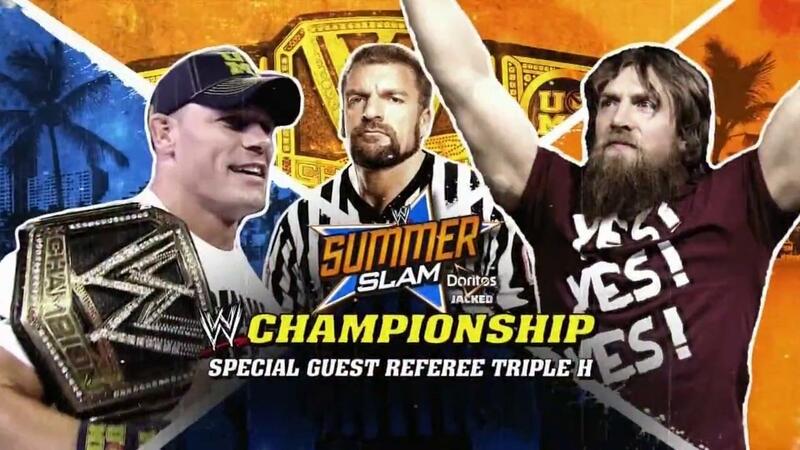 Add in the element of Triple H being made the special guest referee and it just put too much focus on outside forces and other variables besides Bryan earning his right to fight for the title and get that crowning achievement. As Summerslam approached, you got Bryan in rare form, as he cut a scathing promo on Cena and positioned himself as the alternative to the painstaking run and reign of Cena. Bryan was a real wrestler and one that put his body on the line every night to put on the best show, while he saw Cena as an entertainer only, which made perfect sense in a way. I really like the dichotomy they had between the two and the match had a big fight feel. 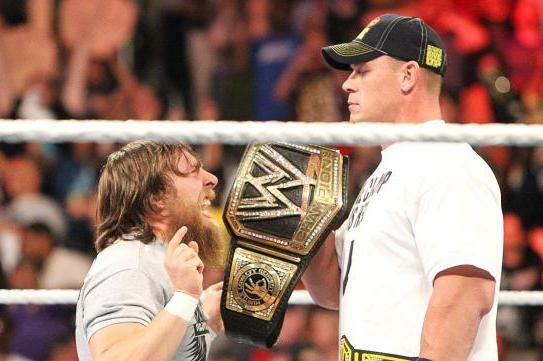 As the PPV arrived, many speculated that Cena would win and end Bryan's come up, while others felt it was Bryan's time. In the end, after a grueling near 30 minute match that saw twists and turns and back and forth action, Bryan would walk away with the victory. Bryan put on a clinic against Cena and to his credit, Cena would end up keeping up with Bryan to the end of the match. This was essential supposed to be a passing of the torch in many ways, and it was as Cena took his first clean loss since Wrestlemania 28, a full year and a half before this event. Bryan would get the win by introducing his new finisher of the running knee and after he won, the celebration would begin. That's right, Orton would cash in the briefcase and defeat Bryan with the help of HHH, as they both turned heel and screwed Bryan over. 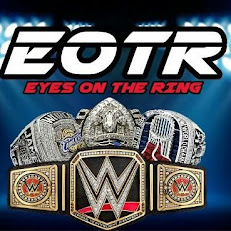 Unfortunately, Orton and HHH robbed Bryan of his glory and that would lead to the long and painful story that was Bryan eventually getting into the main event of Wrestlemania 30, but make no mistake about it, defeating John Cena at the 2nd biggest PPV of the year clean for the biggest title in the business is a huge deal for anybody. Bryan created a huge moment and gave Cena one of his best matches of that year and one of his best main event matches on PPV period. Do you have any memories of the Cena vs Bryan saga that took place at Summerslam 2013? Post them below in the comments section.